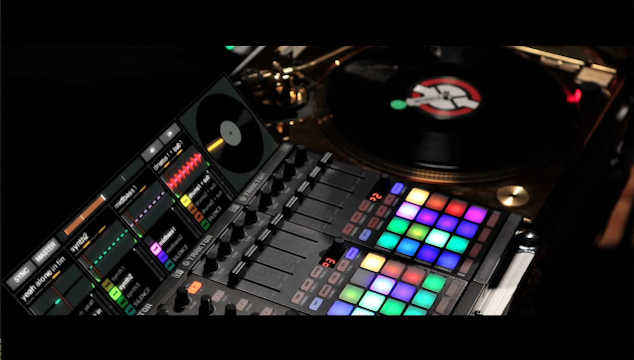 In January, Native Instruments hinted they will be releasing a new DJ controller to go along with the Traktor 2.5 software update. 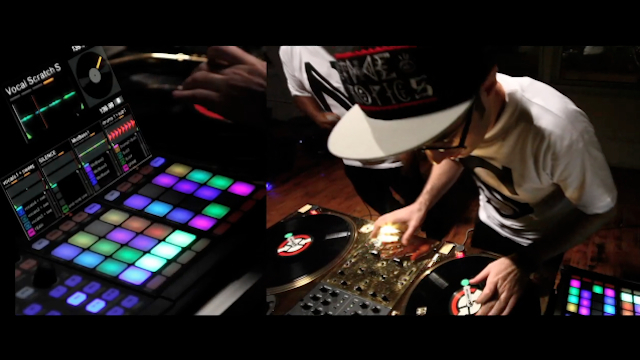 Today, they reveal the brand new Traktor Kontrol F1 controller with it’s multi-colored LED pads to access the new Remix DecksTM in Traktor Pro 2.5, software in a video with Dubspot Instructor and turntablist extraordinaire DJ Shiftee performing a new routine and bolstered by the one and only Greg Nice. The F1 is in stores May 30th. 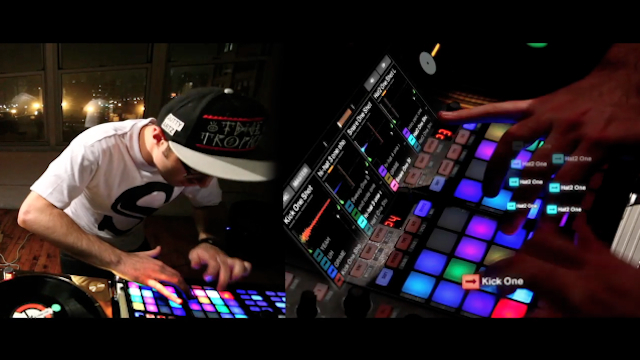 Shiftee is currently down in Austin for SXSW, and we asked him about his favorite features of the F1 and the creative advantages and possibilities the new controller provides for DJs and producers. Do you think the F1 is going to change the face of Digital DJing? 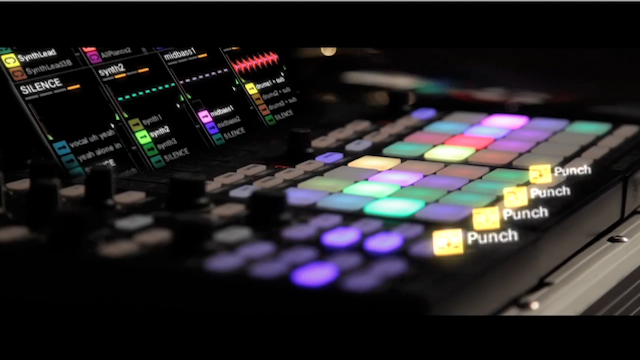 It certainly has the potential to change the way producers DJ and DJs produce. Honestly it’s the best product I’ve seen that allows you to incorporate live production seamlessly into a DJ context, really by far. It’s the first time you can load in your production sets aka “remix sets” and easily scratch it, juggle it, mix it, sync it, and do everything you’d normally do to a single track, only now you have control over all these different samples and loops. How did you prepare/compose this new routine? I worked off of a beat I already had made: PLS DNT STP ft. LAZERlibby – Raise The Temprature (Shiftee Remix) [LU20 Records] (out now on Beatport *cough cough*). Before I started bouncing loops, I already had an idea in my head of how the routine would proceed: intro launching of samples -> short intro tricks -> normal triggering -> beat juggling while changing loops -> scratching while changing loops -> pad drumming using one shot samples. I wanted to show a nice range of the F1′s potential in a turntablist context. Then it was just a matter of bouncing everything and figuring out how exactly I was going to pull everything off, especially transitions between sections. Once Greg Nice came on board, this became a lot easier. 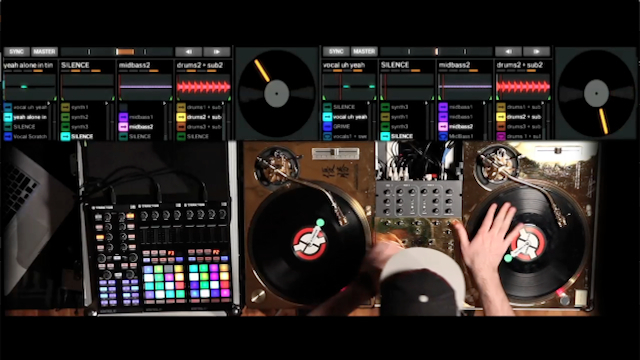 How comfortable was it to use the F1′s interface in a turntablism routine? It was surprisingly comfortable. I incorporate Traktor 2.5′s “PUNCH MODE” a lot in the routine, which allows you to switch between loops and samples without restarting them from the beginning. In this mode, if I go from Sample A to Sample B, Sample B’s audio will begin in the same position as the one I just left in Sample A. In short, this allowed me to implement beat juggle techniques while changing loops since every sample entered with the same relative position. Otherwise, scratching one of these Remix Sets feels no different from scratching a normal track. You can powerdown, hit the stop/star, and pitch correct while changing samples/loops. Mamma mia! How did you utilize the F1′s features, and what advantages or creative possibilities did it provide? The vast majority of moves I pulled off in the video would have been impossible without the F1. From triggering different parts of my song to beat juggling while switching the basslines and synths to pad drumming and scratching, this was truly a new creative frontier for me. This alone, being able to change loops and samples seamlessly while having vinyl control is unprecedented. Furthermore, you can save entire Remix Sets as a single file, so you never have to load in samples individually. Just a single load command and BOOM, you’ve got an entire set with which to play. What are your favorite features of the F1? Do you have a Top 3 or Top 5? 1. Being able to scratch loops & samples while triggering them all separately. 3. Being able to save and load entire Remix Sets. 4. PUNCH mode. It let’s you trigger loops/samples while maintaining relative position. 5. Flexibility. You can use a single F1 to control all your decks. 6. MIDI mode. Beyond the built in capabilities, you can write additional normal MIDI mappings using the device’s MIDI mode.